Lock in a great price for Green Field Hotel and Restaurant – rated 9 by recent guests! The location was good and it was nice and quiet once in the property surrounds. The restaurant catered to dietary requirements very well and the breakfast buffet every morning was great. 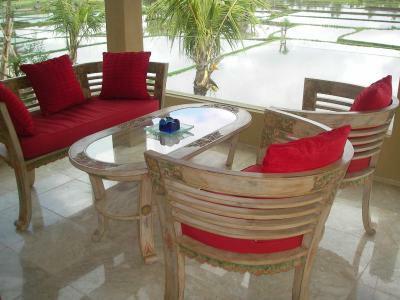 View to ricefield, many breakfast options, beautiful garden, good location, comfortable bed, cleanliness. 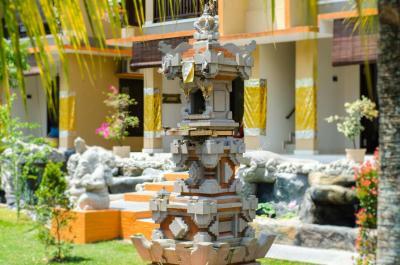 Well established hotel with wide range of services, 2 pools. It's not the newest hotel but quite a good one. Breakfast was very good! We were booked in for 3 nights and extended our stay , we loved the pool and how friendly all the staff were and that they had baby sitting facilities . Finn was treated like a Little Rock star . Was great ! The staff were friendly the location was amazing no quite the center of Ubud but close enough to walk and free shuttle available. Options of 2 pools in beautiful garden like settings. Drivers willing to accommodate any taxi needs to local sight seeing excursions within a moments notice. 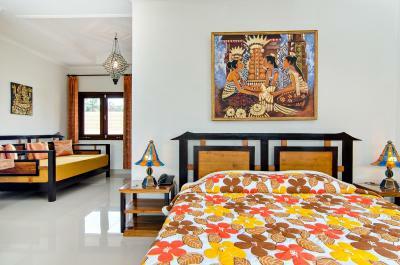 We had amazing room; very spacious, clean and nice decor. 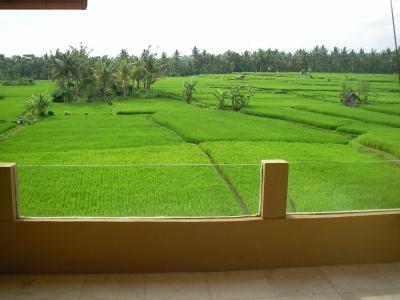 Private balcony was very nice, beautiful view to the rice fields. Room was very quiet, we slept very well. Good wifi in the room. Breakfast buffet was awesome. Pool areas were nice. Staff was very helpful and friendly. I would love to stay there again. The grounds are beautiful and the location was absolutely perfect. The street is lined with great restaurants, bars and spas. Attractions wise, you're an easy walk to the Monkey Forest, and our tour provider the next day had no problem getting us in town. Very good location where all bars,restaurants and shops are steps away however inside the hotel u won’t hear anything and it’s very peaceful,the room that we had was very spacious and has a big terrace overlooking the rice field even tho we didn’t stay much in the room we were out most of the time but was still good to wake up on this beautiful view. Green Field Hotel and Restaurant This rating is a reflection of how the property compares to the industry standard when it comes to price, facilities and services available. It's based on a self-evaluation by the property. Use this rating to help choose your stay! 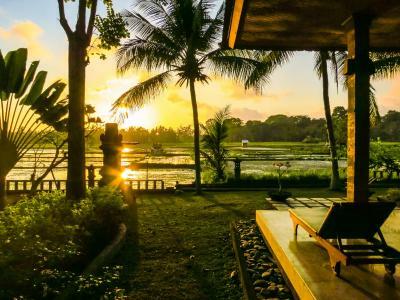 One of our top picks in Ubud.Green Field Hotel and Restaurant is surrounded by peaceful rice fields in South Ubud, a 10-minute walk from the Monkey Forest. 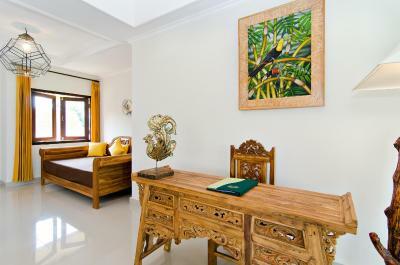 It features a free scheduled shuttle service to Ubud and free internet access. There are also two swimming pools at this property where one of them is a salt water pool. Rooms at Hotel Green Field feature a private balcony or terrace. Each room is equipped with a mini-bar and tea/coffee maker. 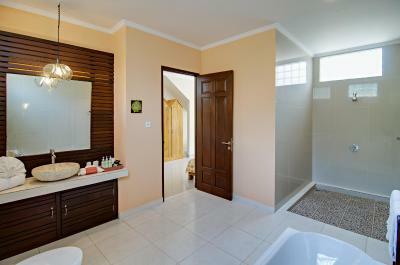 Separate bathtub and shower facilities are provided in the en suite marble bathroom. 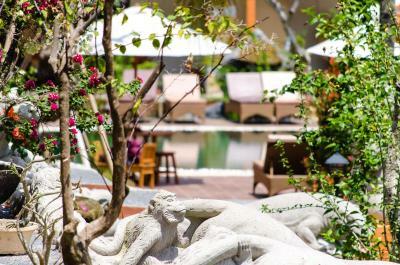 Recreation options include swimming in the saltwater pool, painting lessons and volcano-trekking. A tour desk can help with travel and sightseeing arrangements. Guests can enjoy buffet breakfast at the restaurant. 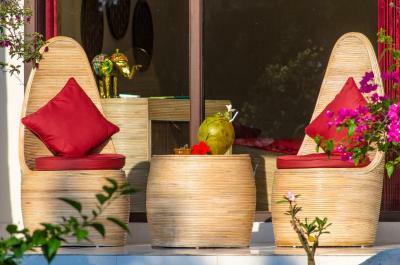 A wide range of tropical fruits, fresh juices and homemade breads are offered. 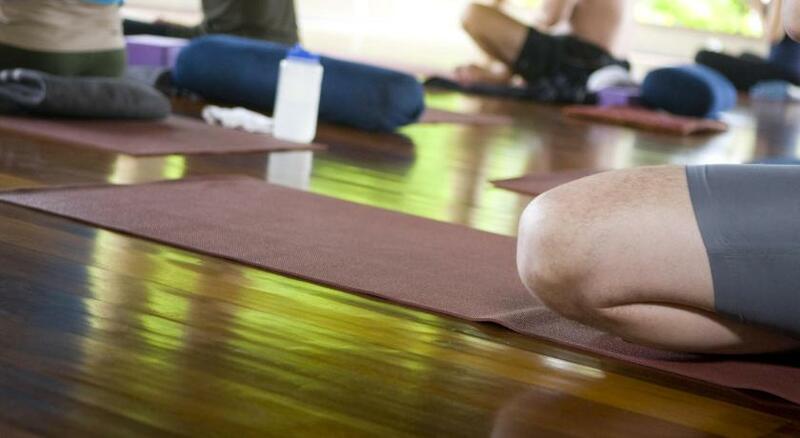 Green Field Hotel and Restaurant is a 5-minute walk from Yoga Barn. 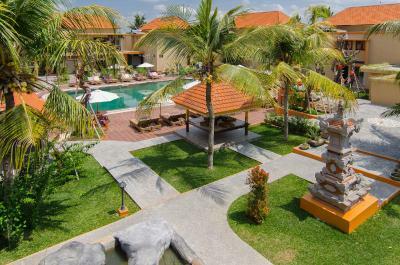 It is also a 1-hour drive from Ngurah Rai International Airport. When would you like to stay at Green Field Hotel and Restaurant? This air-conditioned room features a mini-bar and a tea/coffee maker. 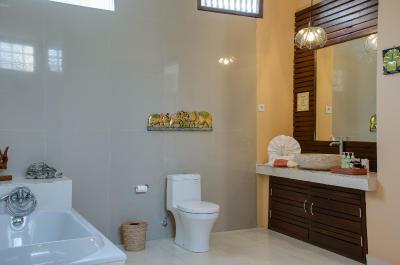 En suite marble bathroom provides a separate bathtub and shower facilities. 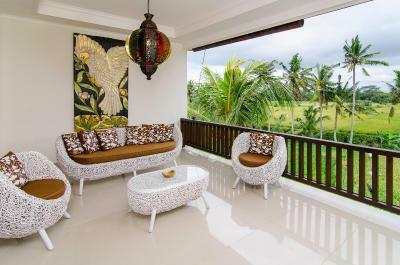 There is also a balcony where guests can enjoy a beautiful view of the rice fields. 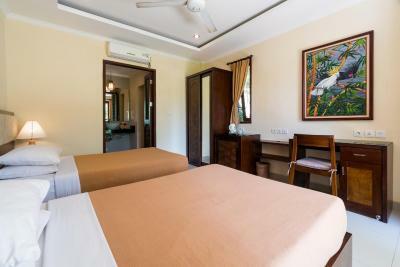 This air-conditioned double or twin room comes with a mini-bar and a tea/coffee making facilities. 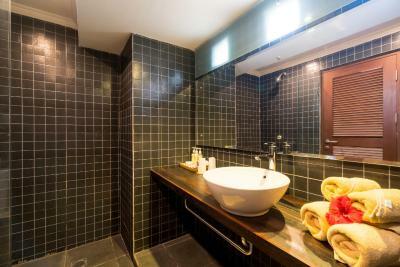 The private bathroom features separate bath and shower facilities. 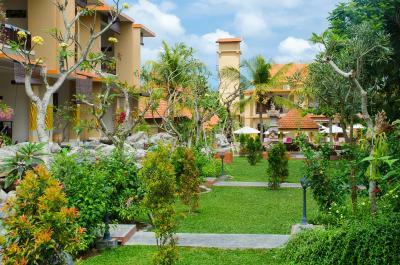 There is also a balcony overlooking the lush garden. 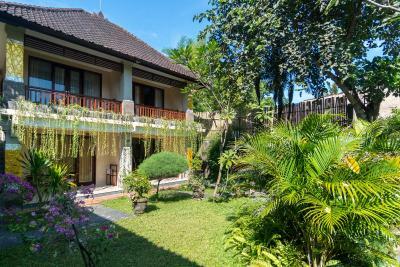 Featuring unique Balinese style décor, this air conditioned room has a balcony, seating area and private bathroom with hairdryer, bathtub and shower. 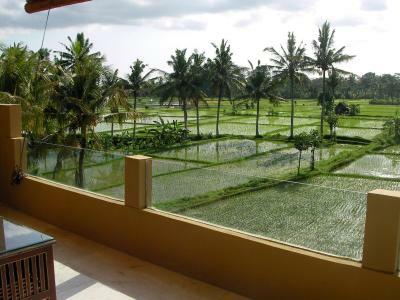 Certain rooms have views of the pool, while others enjoy views of the rice fields. 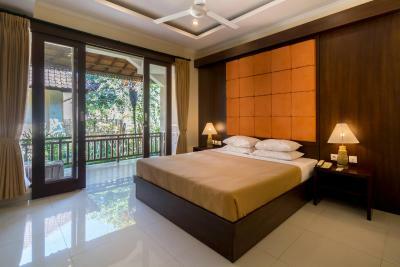 Located in the property's new building, this air-conditioned room features a mini-bar, tea/coffee making facilities, and an private bathroom with separate bath and shower facilities. 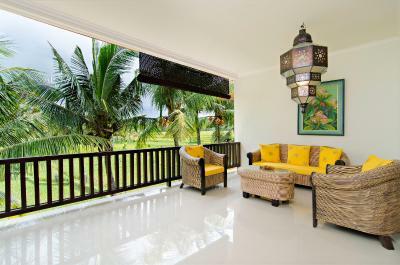 There is also a balcony where guests can enjoy views of the green rice fields. 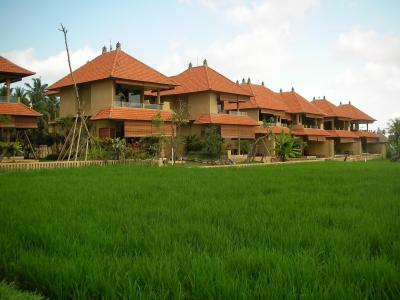 Located at Pengosekan Ubud, and surrounded by peaceful rice fields. Two swimming pools available and one of them is a salt water pool. 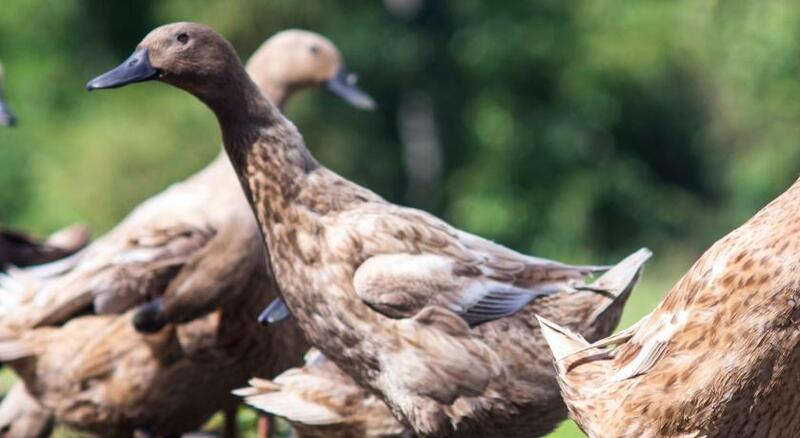 House Rules Green Field Hotel and Restaurant takes special requests – add in the next step! Green Field Hotel and Restaurant accepts these cards and reserves the right to temporarily hold an amount prior to arrival. 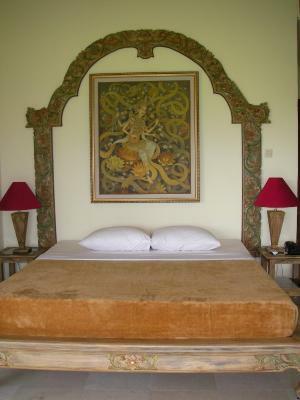 Please note that the free shuttle to Ubud is available only from 8 a.m. to 10 p.m.
First room on deal like a cave appalling! Dark damp and smelt bad! Paid for upgrade well worth it! Bit of damage on some of the walls but didn't effect my stay. Room was huge, breakfast buffet was amazing and the shuttle around ubud was so useful. The staff were helpful and the location is incredibly beautiful. 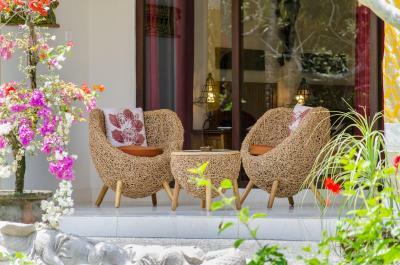 Beautiful place to relax from the hustle and bustle of Ubud but everything was in walking distance. Superb pools and no problem getting sun beds. The room was in need of upgrading. Leak in bathroom, electric sockets were loose in the wall and not enough of them near bed. The bed covering looked old and dirty. The door has no tegular lock but a gate lock! Strange. No regular shower. Only odd shaped bath tub with hand held shower. Coffee was very bad and breakfast...did not look good. I did not eat it. 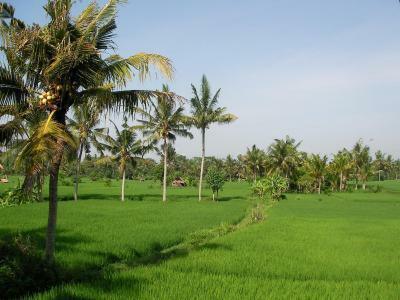 Great view of rice fields! Peaceful. 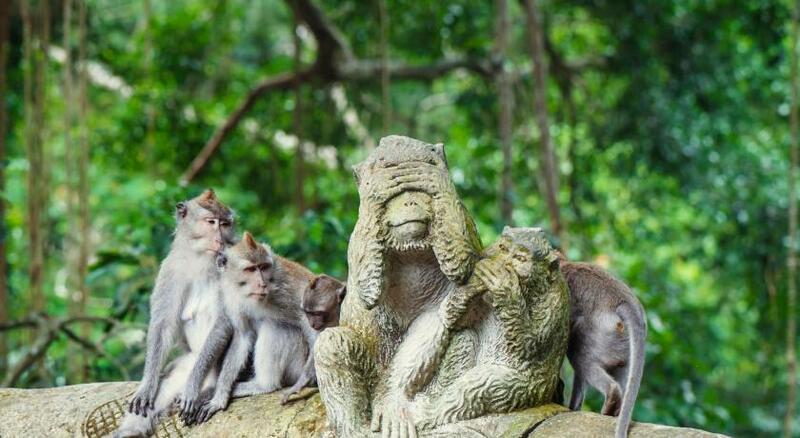 The location was very good close to the Monkey forest and away from the very busy part of town. Lots of restaurants and shops nearby. The lobby, pool, grouns and restaurant were very nice. Food and drinks were good. Our room had no support for suitcases. Difficult to open 2 suitcases inside the room at the same time. 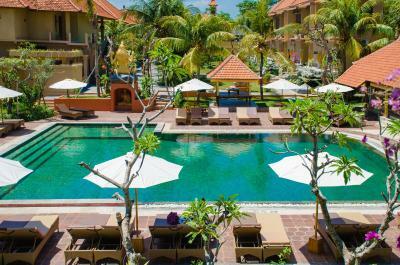 Beautiful hotel, 2 nice swim pools, one of which with view of the rice plantations. Excellent breakfast. Free shuttle to the main streets downtown. Staff were amazing. Location was great, right next to all the shops and restaurants! Lovely place to stay. Shuttle bus was great to take you places. The room I got was extremely moldy, you could hardly breathe and see it on the walls. Bedsheets and windows were dirty and the room was dusty. for the first time in my life - I'm usually a very frequent and easy going traveler- I requested a room change. It was just impossible to stay there. The new room was much better, they considerably upgraded me. Still found dust around, but at least the room was dry. For the price they are asking, the rooms should be much better. 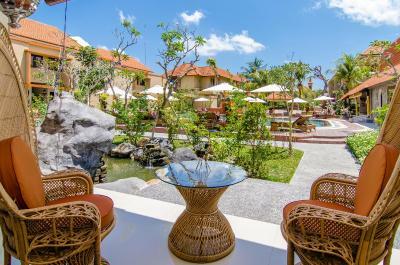 I've spent 1 month in Bali, this was definitely the worst hotel I stayed at. Even though the staff was very nice and friendly, the hotel is definitely way under standard. 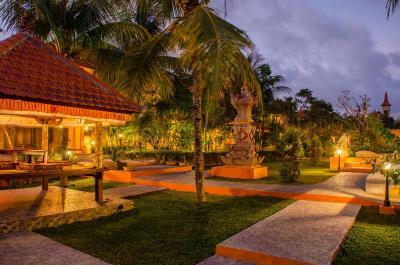 The location is fine, the hotel also offers a shuttle service because it is a bit far from the center. Breakfast is buffet stile, good if you like lots of meat. 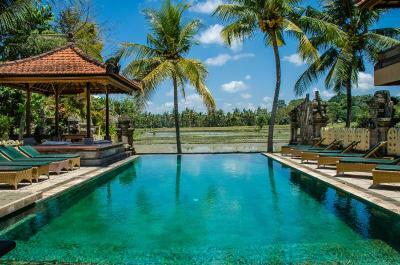 The pools are nice with a nice look at the rice fields. The staff is extraordinary, everybody from the reception to the breakfas ladies was very kind and helpful. Small things only: Mattress was too soft and it felt like I was sinking into it. There was no sofa/seats in the room so the balcony chairs were dragged in. 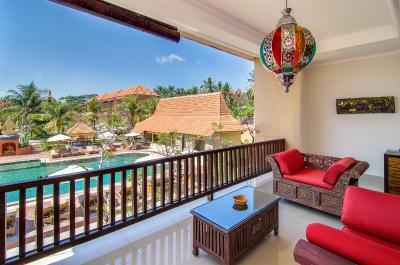 Rooms are bright, cheerful and LARGE... lovely view. Good breakfast and shuttle service to town is very useful. Would have liked a bigger selection of veggie/vegan options for breakfast. Also would have liked cushions on the sun loungers at the main pool as they were very uncomfortable. I did ask to have one as they had them on the sun loungers at the smaller pool, but was told they were only for that pool area. 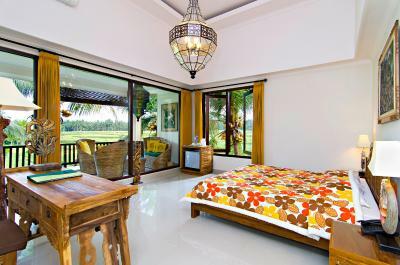 The room was big, bright, comfy and fantastic view of the rice fields. Nice and quiet at the pool. 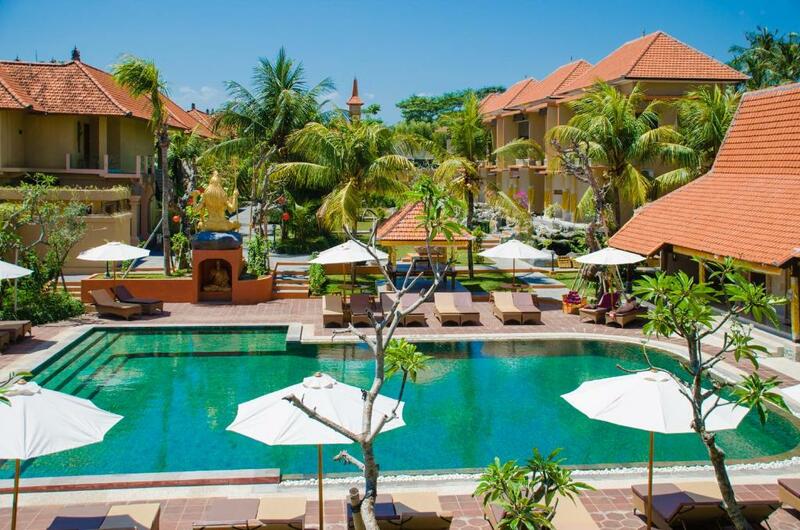 Great location to walk to Yoga barn, monkey forest and cafes/restaurants. It was also a massive plus being able to use the shuttle car service which was excellent. We used it early mornings to go to the gym and also Radiantly Alive yoga studios. Normally we would walk but this was a great time saving option. The breakfast options were a bit basic but not too bad. The room and view of the fields was beautiful and spacious, the shuttle service was very convenient and the location was surrounded with places to eat. The salt water pool and freshwater pool were both beautiful and great to have the options without chlorine! The room was a little dated but clean. The breakfast was very simple with little variance. When booking I think the price was a little high and there seemed to be a big difference in room rates. 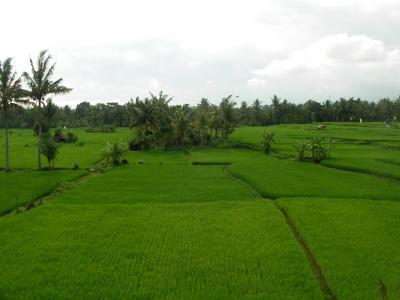 The room was extra spacious and faced the rice fields. The complimentary van service was fantastic. The staff were very smiley and friendly. Having two pools was a bonus.